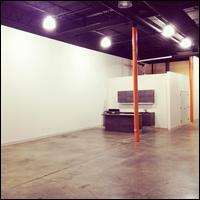 Kai Lin Art is a contemporary art gallery located in the vibrant Westside District of Midtown Atlanta. The gallery focuses on emerging and established artists and runs on an accelerated exhibition calendar with a new opening every eight weeks. Kai Lin Art showcases all mediums of art, including works on canvas, photography, sculptures, handcrafted pieces, jewelry and prints. Parking: Parking is available in front of the gallery on 10th Street and in the 999 Brady Ave. complex lot.